Tony Lossano, etc. : Divvy Or Not, Here I Come! 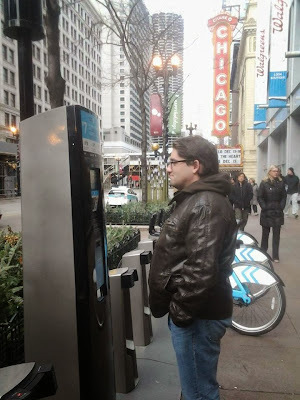 Divvy Or Not, Here I Come! 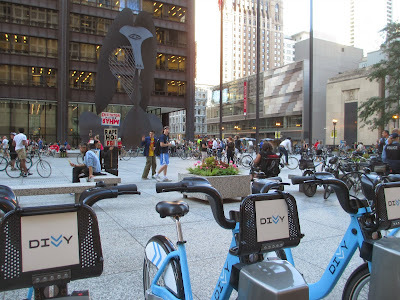 Yesterday, the fine people at Divvy bikes temporarily closed up shop. 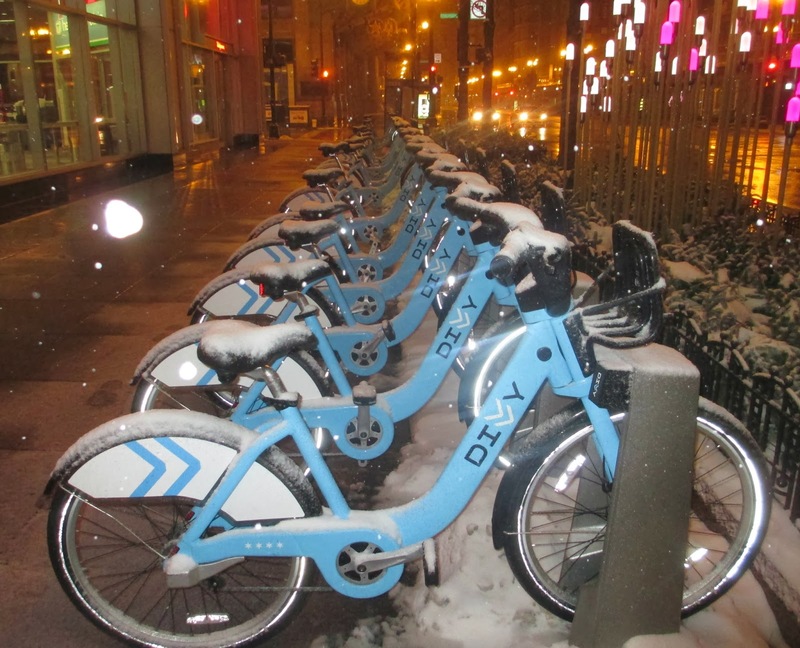 This was due to the weather, as a move to protect the safety of riders and the Divvy staff. I, myself, wanted to use the Divvy bikes this week, but I was hesitant to even try while it was snowing. 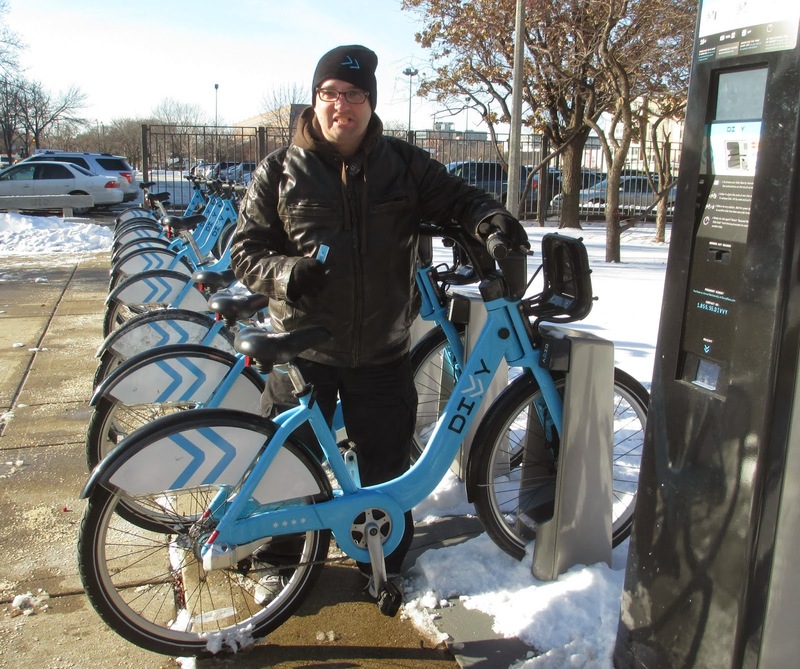 Oh, before the snow came, I did take Divvy out for the first time. 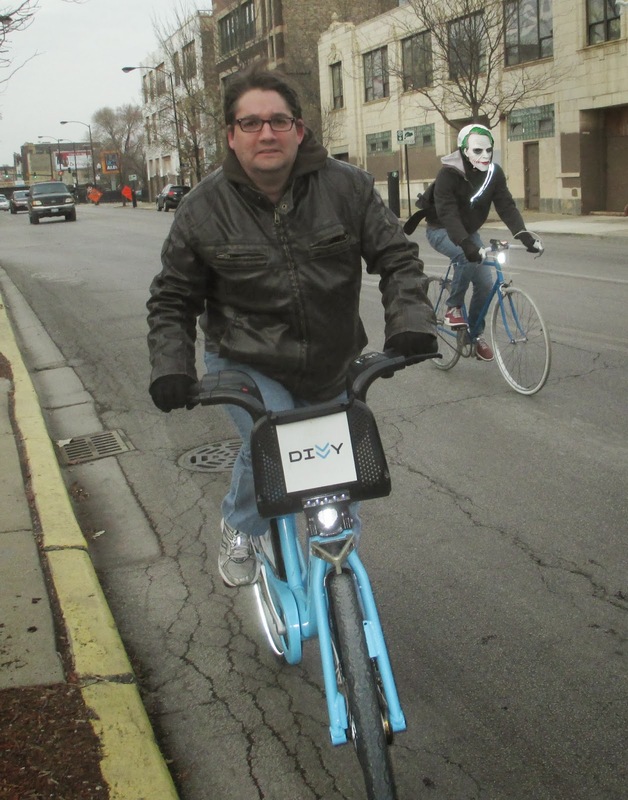 I spent an entire day going on errands, hoping from one Divvy bike to another. It kinda felt like the game Grand Theft Auto. I would just grab a new bike when I needed it, and then get rid of it when I was done. Except, this was all legal, and very few individuals got punched by me. A regular yearly memberships costs $75, but does not include the extra passes or the hat. I am pretty sure that it is also not worth an additional $50 value to normally get just that stuff. Just saying. I can ride my bike throughout the winter as long as I have my "snow tires"
As an avid and law-abiding biker, the winter slows me down, but it doesn't stop me. 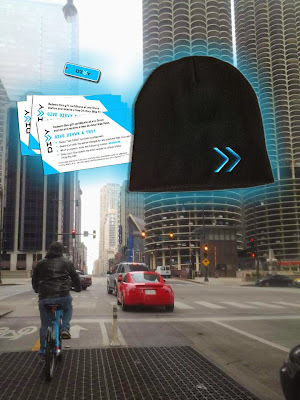 So, when it first started to snow, I wanted to take out a Divvy under my new membership. Now I consider myself a fairly smart person, with a quick wit and ability to think on my feet, but once I got to the Divvy bike station, with my brand new keychain, (which is also my yearly pass), I couldn't figure out how to use it. I went through all of the selections on the screen at the bike station and saw nothing about members. My keychain also said nothing. Since I don't have a phone, I couldn't call Divvy, so I just went without a bike. When I got home, I went through the material that Divvy sent me with my keychain. 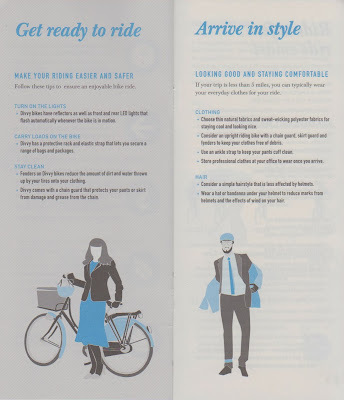 They give grooming tips, and all sorts of other interesting tidbits, but now where in their printed guide, does it explain how to use the keychain. 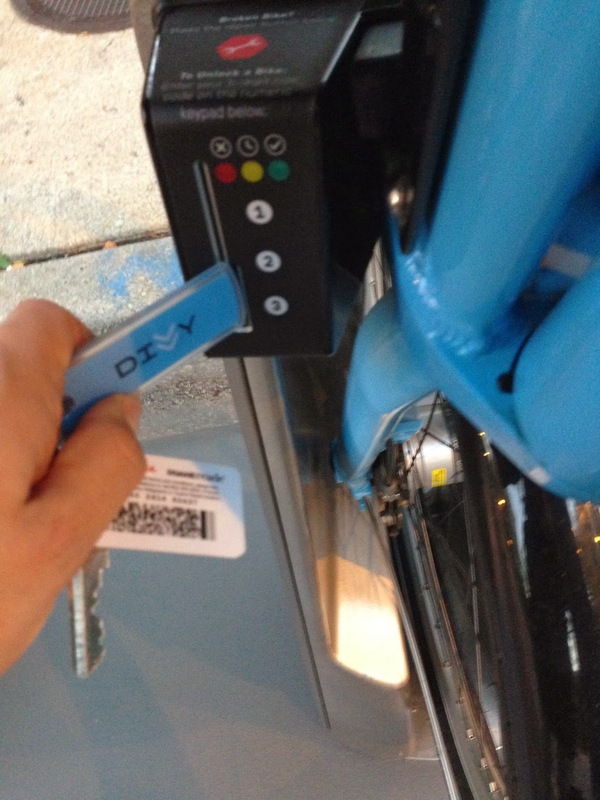 I had to ask a fellow Divvy member, who explained to me that he had the same problem when he first started too. 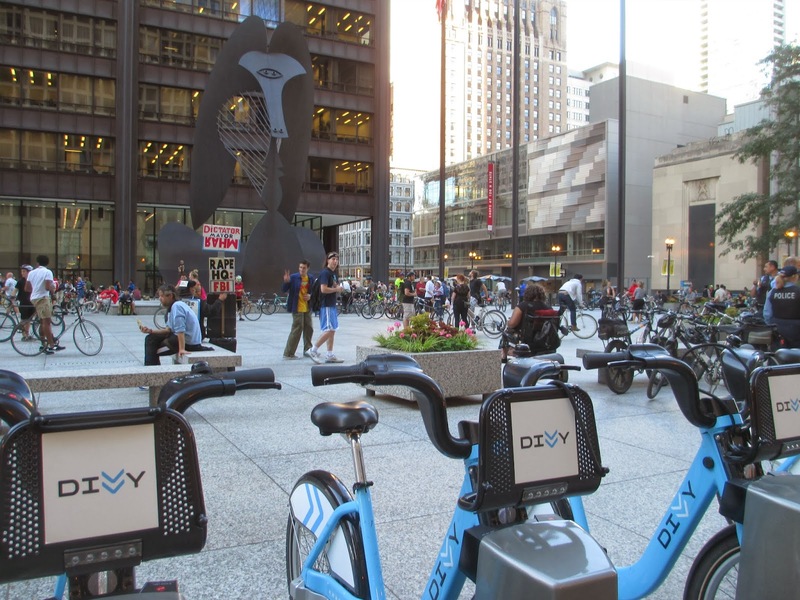 With the increase boom of bikers, Divvy should do fine. In fact, it would be a good thing, if more people got out on bikes and became more active. Exercise is good, and it is also a cheap alternative for transportation. 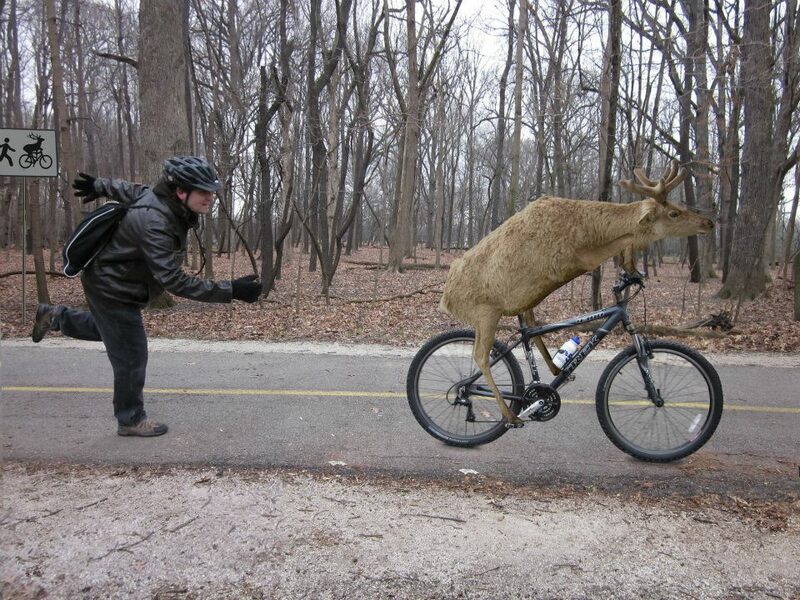 That is partially why I am against the idea of a bike tax. "South Side Alderman Pat Dowell, 3rd, floated a plan to charge bike owners an annual $25 registration fee as a way to raise millions of dollars next year and provide an alternative to the mayor's proposal to hike cable television taxes." "opponents accused her of wanting to subsidize coach potatoes at the expense of healthy cyclists." 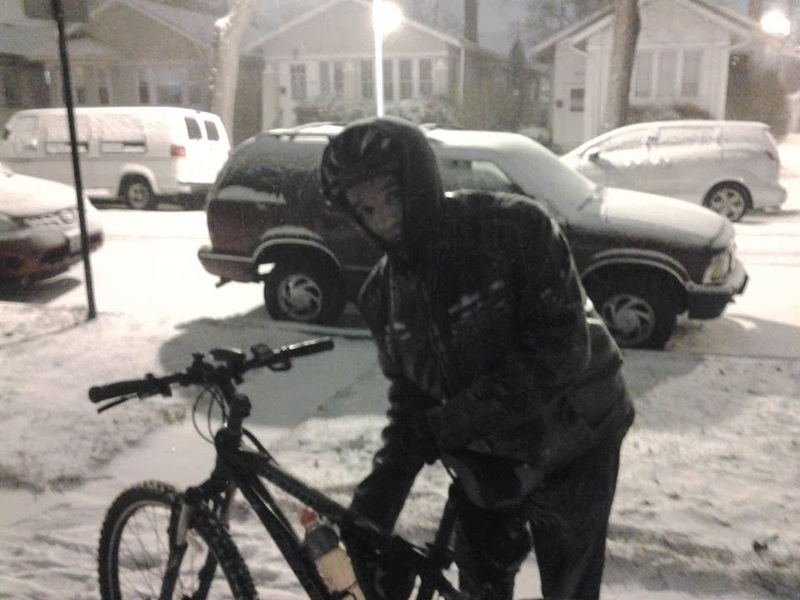 "I ride because I'm poor, I can't find a job, no income, I can't afford a car or bus, I cant afford any fees! Only way to get anywhere I need to go. Fees will prevent me from basic needs. Its hard enough to survive without any fees. Let have my freedom on my bike." Anyway, I do not believe that fees could be enforced without an infrastructure where bikes could safely ride on the streets of Chicago. 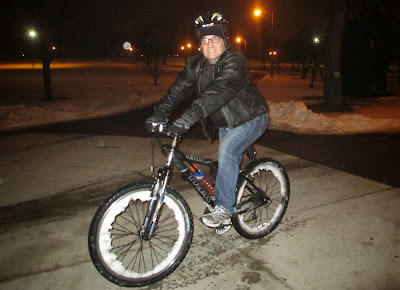 Either way, whether it is on a Divvy or my own bike, I am going to try to get as much exercise biking, without getting hurt. Post by Tony Lossano, etc.